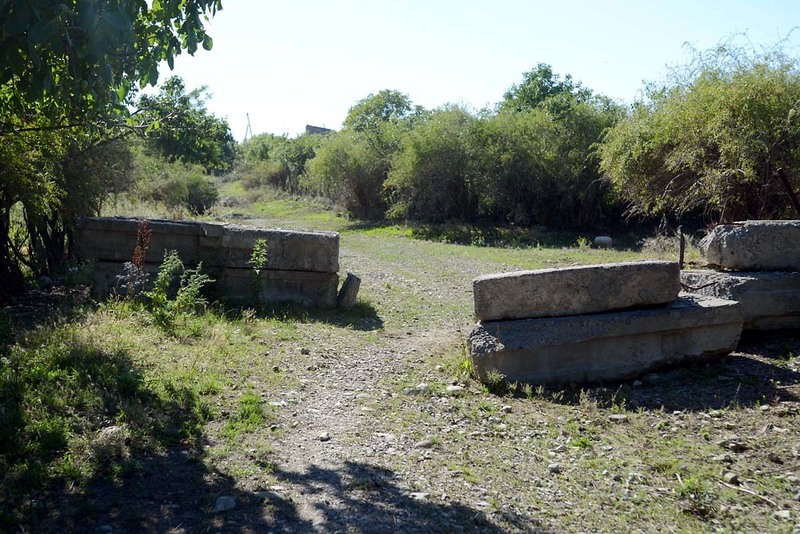 Russian soldiers are building a fence separating Tskhinvali-controlled territory from Georgian villages in Shida Kartli. 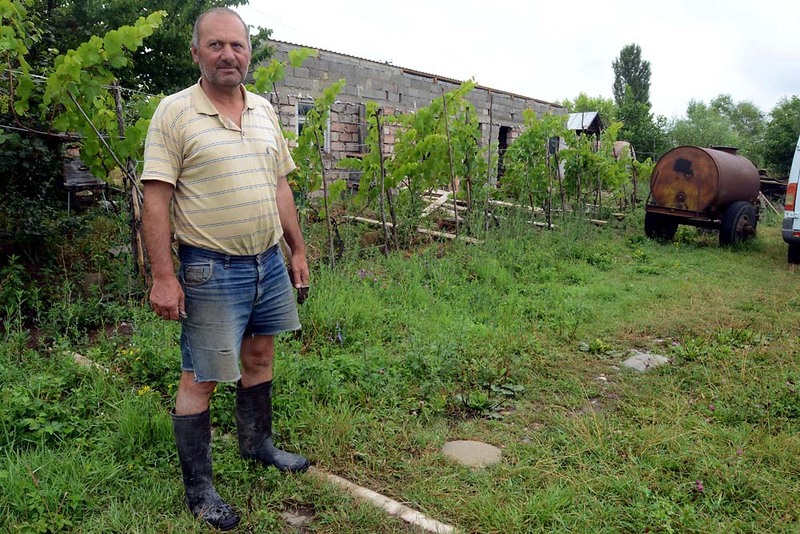 Ilya Beruashvili, a local farmer from Ditsi, has vowed to stay and fight if they try to build through his house and yard. 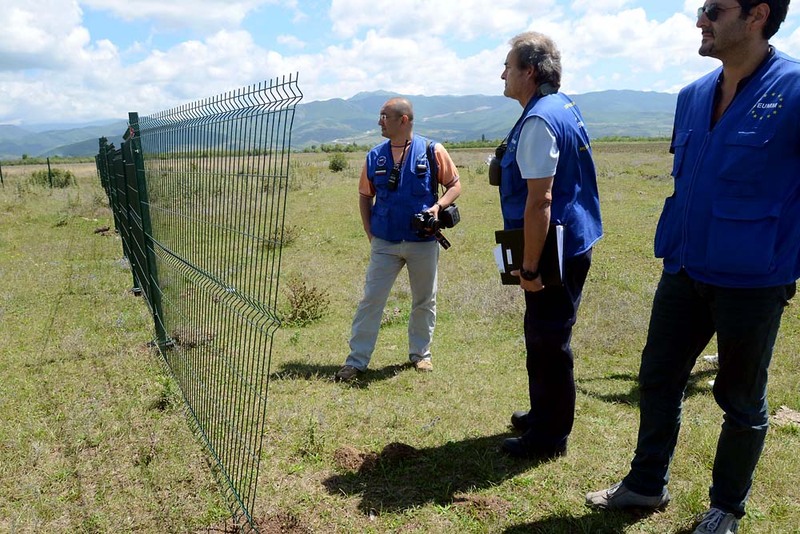 Observers with the EUMM say the Russians already completed 500 meters of fencing over two days. 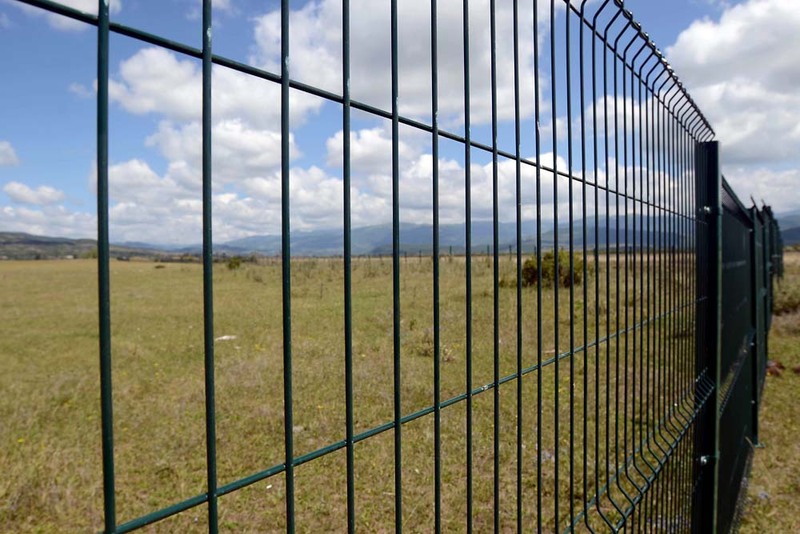 In the village of Ditsi the fence is a new development and threatens to cut a local cemetery and four houses from the village. Reportedly, there are already 27 kilometers of fence zig-zagging around the de-facto border for separatist South Ossetia. More Russian patrols mean there is a greater risk of being detained for inadvertently crossing onto Tskhinvali-controlled land. A set of concrete blocks warns locals in Khurvaleti that they are approaching the de-facto border. 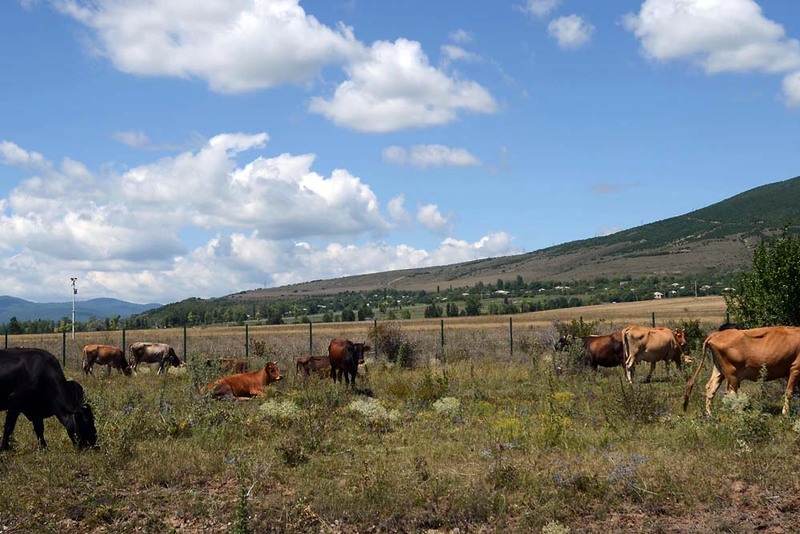 Ossetians allow cows and livestock to wander into and graze on Tskhinvali-controlled pastures that once belonged to Khurvaleti. In Khurvaleti, Georgians fear crossing the de-facto border to chop firewood in forests for winter heating. 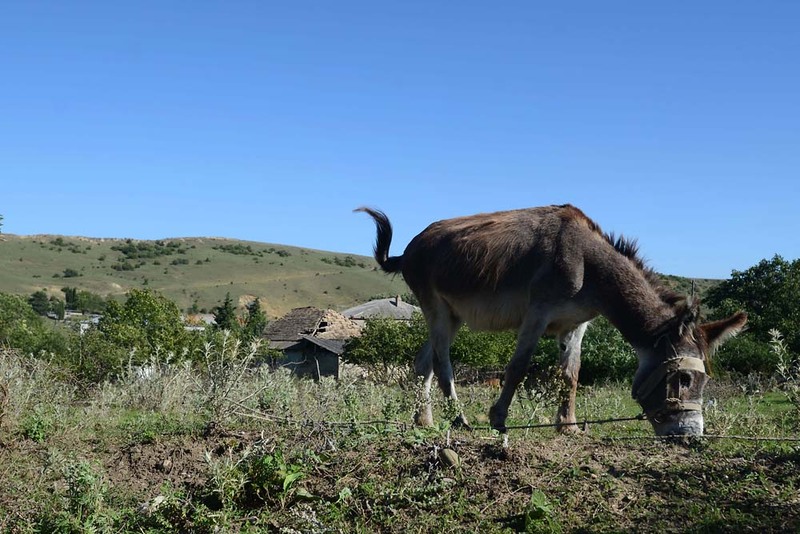 The fence may create problems with water supply, because residents in Ditsi received water from a system that runs from Ossetia. Many locals are too afraid to travel to their orchards or farmland because of fear of arrest by Russian troops. 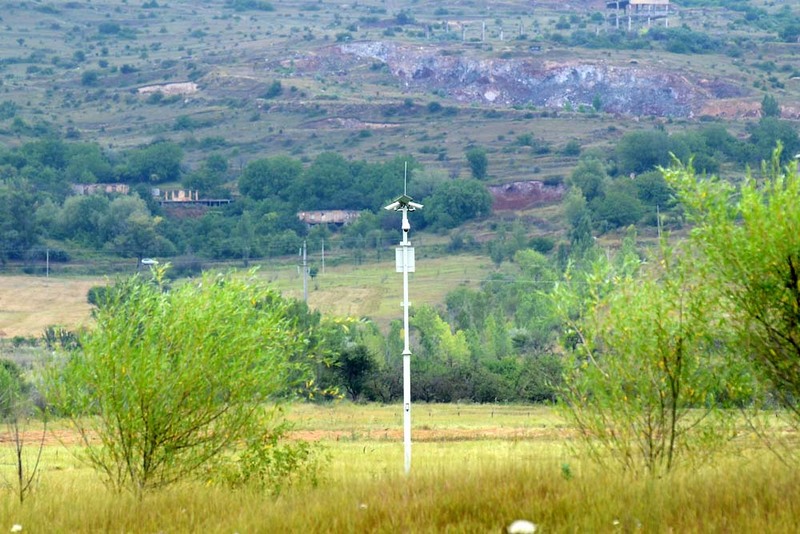 While there has been a storm of protest from the Georgian government, little has been done to stop the construction process. 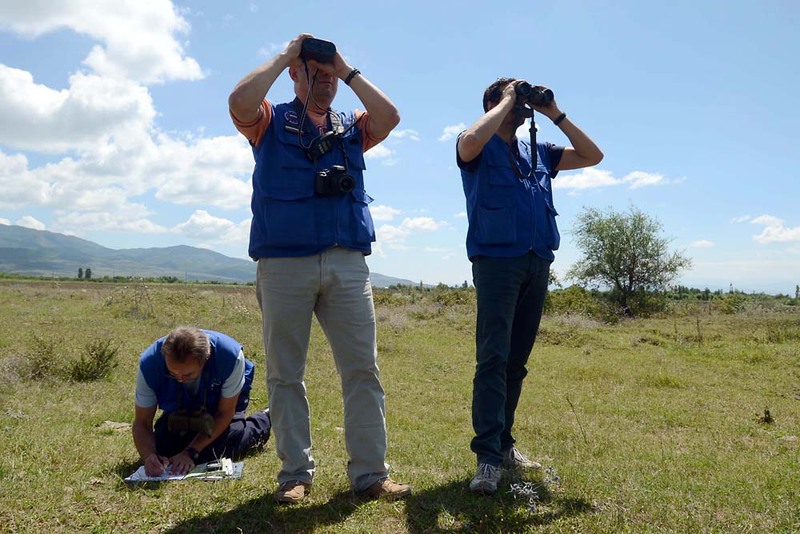 A team of EUMM observers trace the Russian fence-construction progress several times a week. The barbed-wire fence in Khurvaleti mostly inconveniences Ossetians, who cannot reach stores and bakeries on the Georgian side. The EUMM is the only neutral party to patrol the region, although they are not allowed on the Tskhinvali-controlled side. 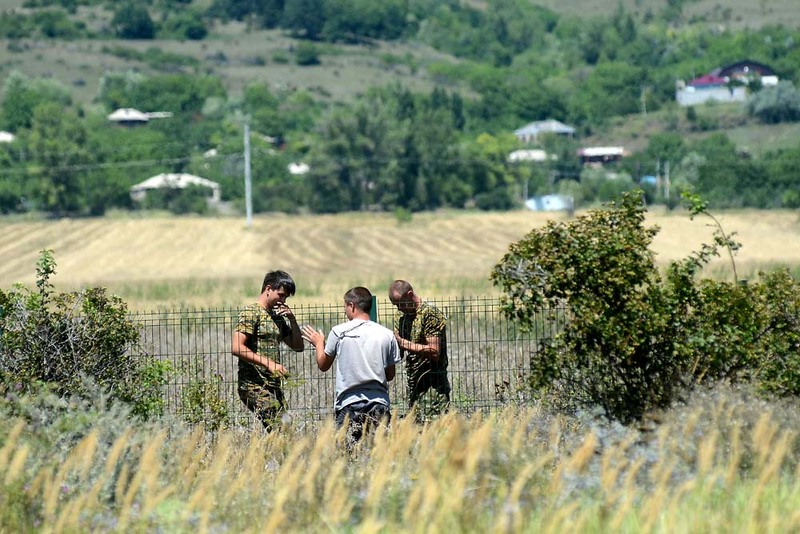 Russian soldiers also installed cameras to track movement along the de-facto border line. Under the terms of the 2008 cease-fire agreement between Georgia and Russia, the area, just a few kilometers east of the South Ossetian capital, Tskhinvali, lies in territory where Russian troops should not be. But that hasn’t stopped the Russians from building a barrier there. Zigzagging through 15 Georgian villages, the 27-kilometer-long fence has divided families and cut people off from their livelihoods, separating farmers from their fields and orchards. 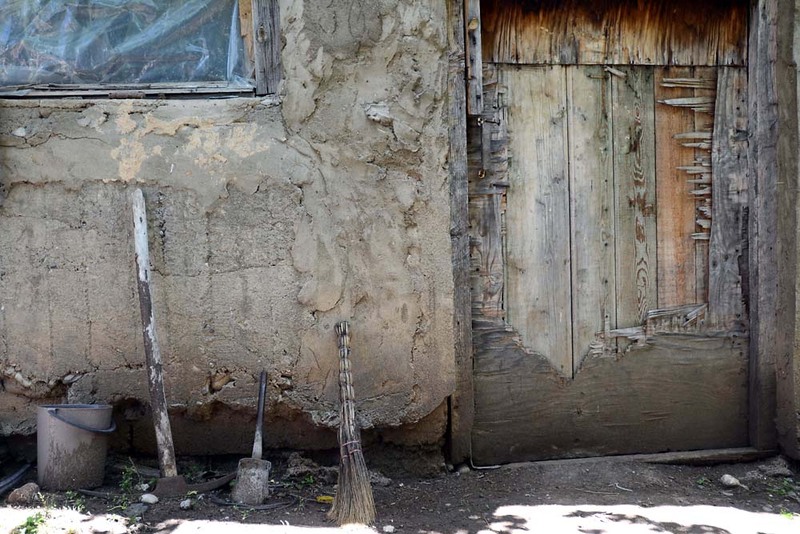 It cuts off access to cemeteries and water supplies for ethnic Georgians, as well as health services and pensions for some ethnic Ossetian families. 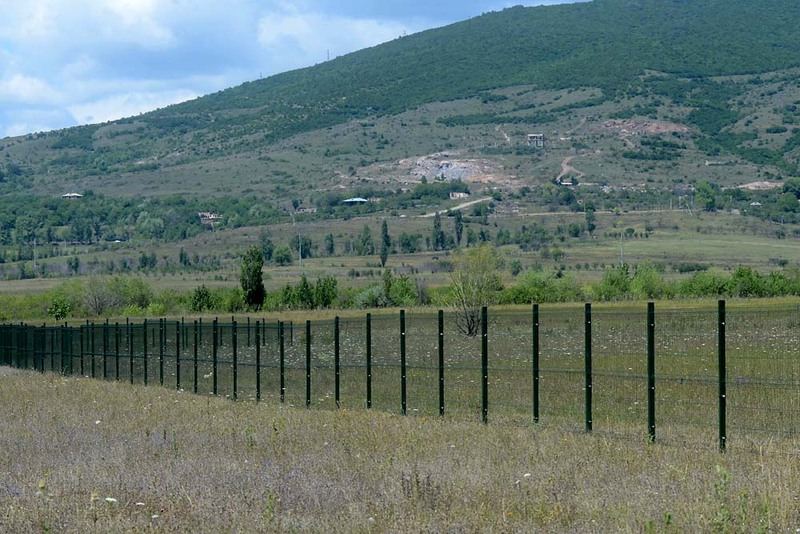 In Ditsi, the fence is made of green plastic material. In other villages, like Khurvaleti, a tiny farming hamlet about 69 kilometers west from the Georgian capital, Tbilisi, it is barbed wire. Wherever it stretches, it stands as a reminder of Russia’s failure to abide by the terms of the 2008 cease-fire – and of the inability of Tbilisi and the international community to hold Moscow to account. The structure, though, is nothing new. 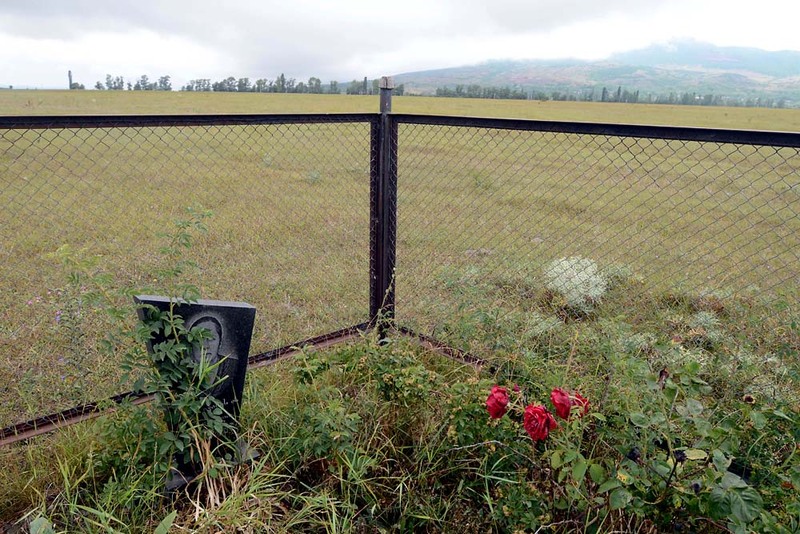 In 2010, Beruashvili recounted, Russian troops tried to set up markers to extend South Ossetia’s frontier into his front yard. He was able to keep them out then – allegedly, by yelling at them that they were frightening his mother. Russian soldiers first started putting up fences in this area, in the Georgian region of Shida Kartli, after the August 8-12, 2008 war, according to Ann Vaessen, a spokesperson for the European Union Monitoring Mission (EUMM), the lone international body observing the cease-fire line. 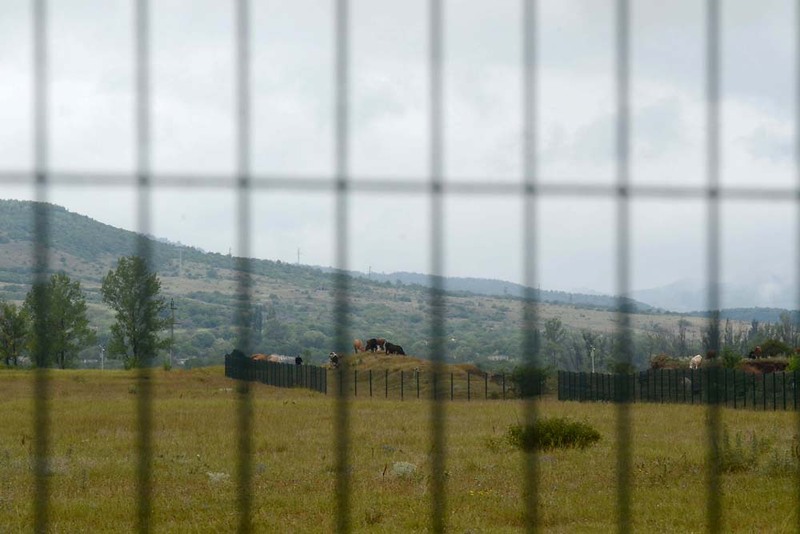 But despite protests by Tbilisi, the North Atlantic Treaty Organization and the United States that the fences constituted a violation of international law, construction is continuing. The process has even “intensified” over the past several months, Vaessen said. “Villages are divided, people can’t talk to each other anymore, can’t go and visit their relatives. They can’t go to the funeral of one of their close relatives,” she said. For Hans Schneider, the German chief of the EUMM’s field office in Gori, the closest Georgian-controlled town to the conflict zone, the structure brings to mind the Berlin Wall, which divided the German city from 1961-1989. Locals like Beruashvili see the wall as a clear restriction on freedom of movement. “They have already gated the high road. 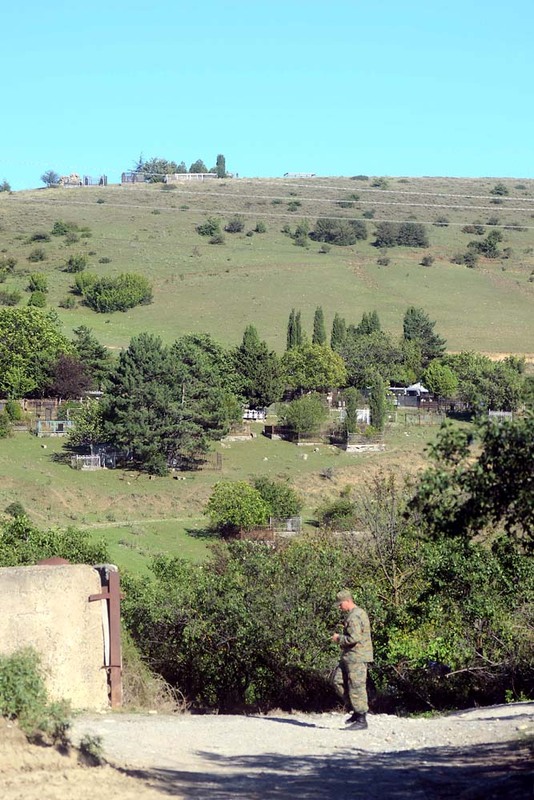 … Now they have turned back and moved in this direction and it seems they want these houses as well,” he said of houses on the outskirts of Ditsi. Kakhaber Kemoklidze, the head of the Analytical Department at the Ministry of Interior Affairs in Tbilisi, told EurasiaNet.org that the Georgian government has repeatedly raised the topic of Russia’s fence during peace talks in Geneva and monthly meetings with Russian and South-Ossetian envoys. So far, the Kremlin has been impervious to Georgian efforts to bring about a halt in construction. In the end, he said, Georgia has to have “strategic patience.” Yet, to date, “strategic patience” has not produced any tangible benefits. 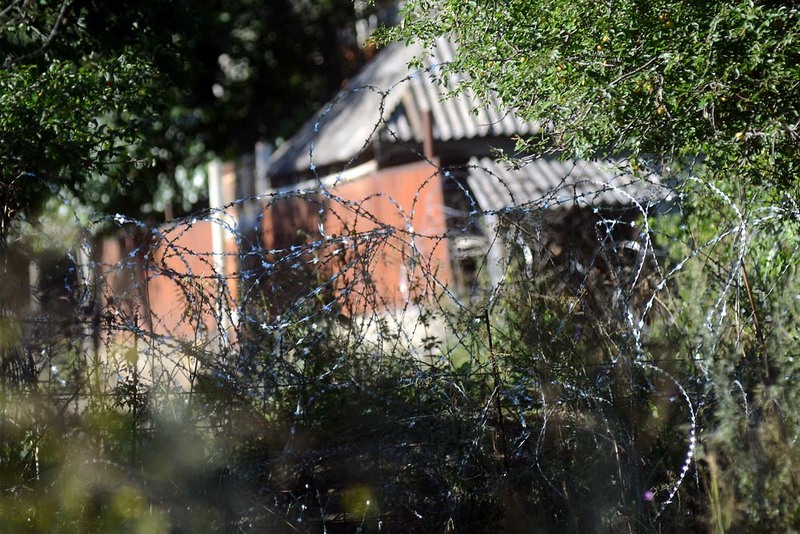 Insisting that the fence runs inside South-Ossetian territory, Russian Deputy Foreign Minister Grigory Karasin has refused to address the issue at Geneva. Georgian State Minister of Reintegration Paata Zakareishvili, the head of Tbilisi’s efforts to normalize relations with the Abkhaz and the South Ossetians, admits that the Geneva process has hit a snag. Locals living near the conflict line, however, have little reason for patience. Since the war, security concerns have prompted Beruashvili to move his three children out of his house. Alone with his mother, he tends to the few acres of orchards he can reach without risking arrest by the Russians. He waits for Georgian police to patrol the area before venturing to see his father’s grave, or to gather greens, close to land now patrolled regularly by Russian soldiers. “The women are afraid, the elderly are afraid, we cannot bring the children here,” Beruashvili said. Russian soldiers have become more verbally aggressive of late, he claimed. “They want to take this territory,” he added. 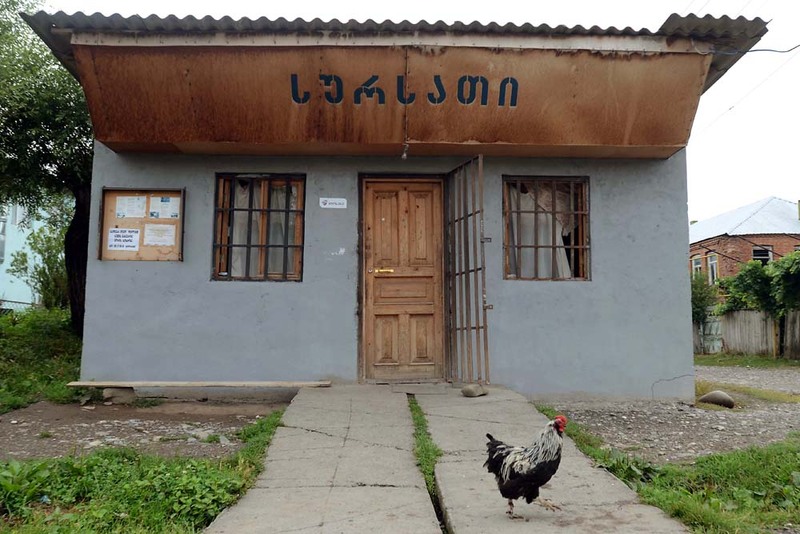 Beruashvili, like scores of other locals, remains determined to make a stand and do everything he can to prevent his house and land from becoming, de facto, part of Russian-guarded, separatist South Ossetia. “I have set my mind to not allowing them in,” he said. Whether such determination can succeed where international measures have failed remains to be seen.